I have a client Access Database that is linked to Access workgroup security. How do I open the tables in the database from Flowheater? I've tried connecting and when I enter a valid password from the workgroup I get an error message that I do not have rights to access the database. In order to open it from Access, I have to use a workgroup parameter in my startup field of my shortcut. 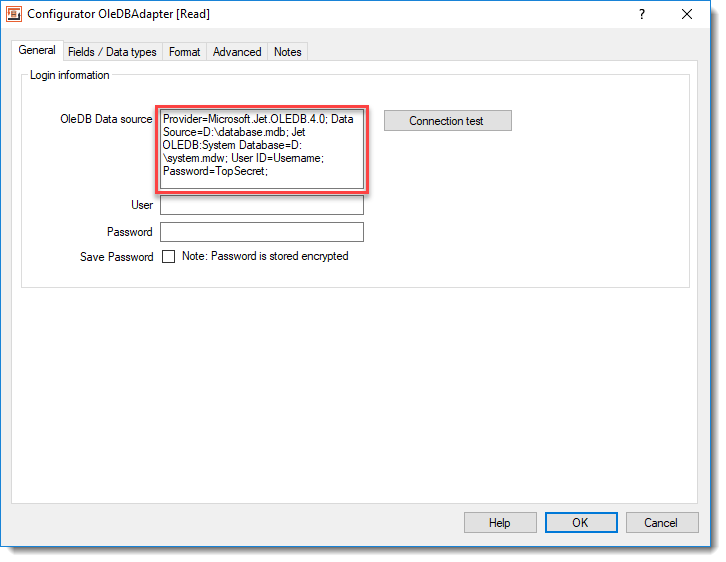 To connect to an Access database with workgroup security settings you have to use the OleDB Adapter instead of the Access Adapter . For “OleDB data source” you have to use the following connection string. With this, you can specify the system database location of the workgroup security MDW file.